TSS welcomes Ryan to the team who will be running the ‘Interview with an away fan’ feature I occasionally did last season. With just two days to go before Derby County visit Elland Road for opening day, we’re joined by Derby fan, Daniel Warrick. Ryan – Hi Daniel, after England’s dismal display at the World Cup I bet you’re as eager for me for the new football season to get underway. Every Leeds fan I know can’t wait for it to start, how do you think both teams will fare? Daniel – I think for Leeds the aim should be more than just surviving in the league this season but this should be a starting point and be used to build on and see where you end up. A large amount of your points will come from your home games with a passionate home crowd behind you but hopefully gaining confidence and momentum you can use this to pick up valuable points on the road too. 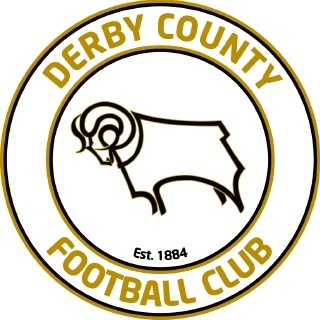 For Derby we’ve got to be looking to build on last seasons 14th place finish and probably aim for the play offs but I expect us to finish somewhere between 7th and 10th with a major promotion push next season. I believe Leeds will end up in midtable, however I could quite easily see you going on a run late on and making a charge for the play-offs although this could be a season too soon for you. Ryan – How is the mood amongst Derby fans going into this game. Confident you’re going to turn over the Championships new boys? Or fearing the worst at a packed Elland Road? Daniel – The general feeling amongst Derby fans is excitement for a brilliant opening game but also fearful of a packed Elland Road with the place and the players bouncing. 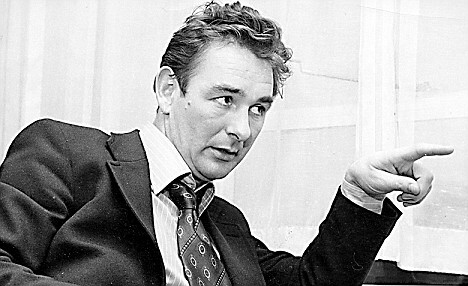 As long as we don’t concede an early goal we believe we have enough quality to take something from the game but in some ways you’ve got to wonder if the script is written for a Leeds convincing win. One thing in Derby’s favour is that all the focus will be on Leeds which may enable us to go about our business and get a result but it’ll be a real test of character for our players. Ryan – Who should we be looking out for in your team? We are all familiar with Rob Hulse at Elland Road but are there any exciting youngsters or new signings we should be keeping an eye on? Daniel – Obviously you know all about Rob Hulse who is a proven goal scorer at this level and higher. Kris Commons has had a good pre season and can always produce something out of nothing so he’ll be one to watch. We’ve also signed a couple of bright young players from Crewe – right back John Brayford who’s looking good so far and likes to get forward and James Bailey a central midfielder who looks comfortable on the ball and is being touted as a replacement for Robbie Savage when he retires. We’re playing a new formation as of this pre season which seems to be working so far and accommodates the important players in our team better so we should be attractive to watch. Ryan – During the summer we signed your former captain Paul Connolly. What can he bring to our team? 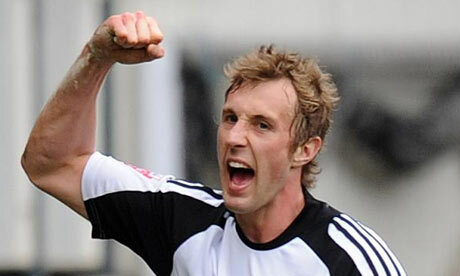 Will he be missed at Pride Park or were you glad to see him go? Daniel – Paul is a reliable and solid defender who likes to get forward when he can. He’s an experienced head at this level which will benefit your younger or less experienced players. You’ll always get 100% from him and he’ll very rarely let you down. I don’t think he’ll be missed at Pride Park. However he did captain us during our high moments in recent years and was always Mr Consistent. I think he divided opinion but most fans respected him and agreed it was probably time he moved on. Ryan – We understand that there is a bit of hatred for us from your lot as there seems to be with most other teams. Is Leeds a fixture that stands out for Derby fans? Do you look forward to coming to Elland Road? Daniel – I know that Leeds is up there with the teams we look forward to playing like local rivals Nottingham Forest and Leicester City. There is a big rivalry between the clubs fans and the Derby fans certainly enjoy coming to Elland Road. I think it’s fair to say there’s no love lost between the two! Also for the fans it’s a chance to come to a fantastic ground with a fantastic atmosphere and tradition and enjoy a great game of football – the rivalry is a great bonus! Ryan – As you will know, the game kicks off at 5.15pm due to live BBC coverage. Do you think this will affect the attendance of travelling Derby fans, and how do Derby usually fair in front of the cameras? Daniel – Derby fans are extremely loyal and always follow their team no matter how close or far the games are. Even if the games are on TV I think the fans feel you can’t beat actually being there yourself and we’re always well supported for TV games – another reason for this is to show the watching public what excellent fans we have. In this way I’d say that Leeds and Derby fans are the same – both passionate and vocal and follow the club in huge numbers up and down the country. Our recent record is pretty good in front of the cameras so fingers crossed that continues. Ryan – Nigel Clough seems like a promising young manager. Do you think he will be looking to get one over Leeds after his Dad’s infamous 44 day reign in charge at Elland Road and has he got what it takes to follow in his fathers footsteps and become a really successful manager? Daniel – Nigel always makes the point that him and his dad are two different people and have different styles and I think the fans would agree. He’ll always get compared to his father and the Leeds game will throw up more talk of this sort but he’ll just be focused on trying to win the game. He’ll say it’s nothing special and just another game but inside he’ll definitely want to get one over on Leeds. He’s a good manager with a big future ahead of him but will always get compared to his father and only time will tell how successful he can become. Ryan – The general consensus amongst Leeds fans at the minute is that our squad is still looking a little threadbare and lacking in real quality since the departure of Jermaine Beckford. If you could sign anyone from our current squad for Derby, who would it be? Daniel – Obviously Beckford will be a loss, he was linked with a move to Derby at one point in a previous season which would have been a good signing for us but obviously now Leeds need to replace his goals. Jonny Howson has always impressed me when I’ve seen Leeds play so I’d sign him if we could. Your new goalkeeper Kasper Schmeichel would also be a great buy as he looks a promising young keeper. Ryan – What’s your best memory of Derby playing Leeds? Mine would have to be Frazer Richardson’s screamer on the opening day of the 2004/05 season when we beat you 1-0 at Elland Road. Daniel – My best memory would have to be the win for Derby 1-0 at Elland Road during our promotion season. After many heavy defeats at Elland Road I thought that day was going to be our best chance of winning there for many years and was a chance we took. It was an amazing feeling to win there and a massive 3 points for us and something we’d love to repeat on the opening day. Ryan – Finally, predictions for the game? I’m going with 2-1 to Leeds. Daniel – As long as we can keep Leeds out for the opening 20 minutes when it’ll be attack after attack and lots of noise and pressure then I believe we can take a point. Opening day always throws up lots of goals and incident – my prediction is for an entertaining 2-2 draw and a good season for both Leeds and Derby. Ryan – Thanks for taking part and best wishes for the rest of the season.